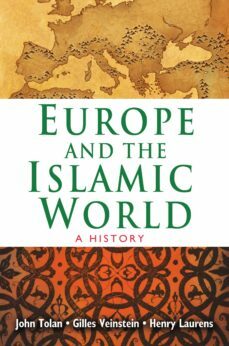 Europe and the Islamic World sheds much-needed light on the shared roots of Islamic and Western cultures and on the richness of their inextricably intertwined histories, refuting once and for all the misguided notion of a "clash of civilizations" between the Muslim world and Europe. In this landmark book, three eminent historians bring to life the complex and tumultuous relations between Genoans and Tunisians, Alexandrians and the people of Constantinople, Catalans and Maghrebis--the myriad groups and individuals whose stories reflect the common cultural, intellectual, and religious heritage of Europe and Islam. Since the seventh century, when the armies of Constantinople and Medina fought for control of Syria and Palestine, there has been ongoing contact between the Muslim world and the West. This sweeping history vividly recounts the wars and the crusades, the alliances and diplomacy, commerce and the slave trade, technology transfers, and the intellectual and artistic exchanges. Here readers are given an unparalleled introduction to key periods and events, including the Muslim conquests, the collapse of the Byzantine Empire, the commercial revolution of the medieval Mediterranean, the intellectual and cultural achievements of Muslim Spain, the crusades and Spanish reconquest, the rise of the Ottomans and their conquest of a third of Europe, European colonization and decolonization, and the challenges and promise of this entwined legacy today. As provocative as it is groundbreaking, this book describes this shared history in all its richness and diversity, revealing how ongoing encounters between Europe and Islam have profoundly shaped both.